Nothing should prevent you from keeping a court date. Failure to appear in court can have serious consequences. Regardless of the reasons behind the need for you to appear in court, you must show up. If you’re considering skipping a court date, it’s important to revisit the decision. If you don’t appear, the judge is likely to issue a warrant for your arrest if you fail to appear. It’s in your control to avoid escalation by showing up at court on the proper day, time, and location. When Am I Required to Appear in Court? Let’s imagine that you live in Houston but you take a weekend trip to Galveston County. You’re cited for speeding. Although you should read the ticket and mark the court date on your calendar, you forget about the ticket in the glove compartment. When you fail to appear, the judge issues a warrant for your arrest. Because the original speeding citation is unlikely to concern the police, you probably won’t hear about the warrant—unless you happen to get a speeding ticket or another infraction in Galveston County again. Without realizing there’s an outstanding warrant, you could be arrested at any time. 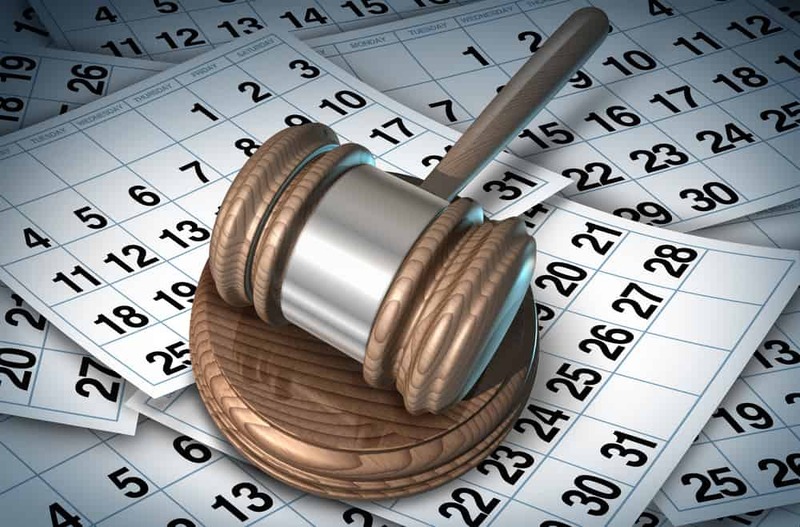 If you miss the assigned court date, you may face either misdemeanor or felony charges (depending on the crime). Now the judge is almost certain to issue a warrant for your arrest. The bottom line? Read your ticket. If you don’t want to defend a speeding ticket or minor traffic offense in court, pay the fine before it’s due. If you’re pulled over for a more serious offense, such as a DUI, you need a defense attorney. He or she will help you keep track of court dates and appearances. Have you failed to appear and missed your court date? Failure to appear in court can lead to the discovery of an arrest warrant or a bench warrant issued against you. If you don’t show up for court as a defendant or as a witness, take immediate action. After a warrant has been issued, know that police may take you into custody right away—whether you’re at work, if you run a red light, or if you attend court for another matter. A bench warrant directs law enforcement to take the individual into custody and to bring him or her for the court to discuss the reasons for the warrant’s issuance. Failure to appear; failure to comply (with any court order, e.g. pay fines, complete probation, etc. ); or failure to perform actions required by the court can result in the issuance of a bench warrant. If you’re picked up on an outstanding warrant, you may be held in custody until the court hears the case, pay a higher bond or court fees. An arrest warrant is issued for an individual’s arrest if the court believes it has sufficient evidence against him or her. After the police arrest the individual, he or she may be held until arraignment, release, or similar proceedings without bail. An experienced defense attorney knows how to handle an outstanding warrant. He or she can also help to explain a failure to appear to the court. If you were originally charged with a violent offense like sexual assault or murder, avoiding your court appearance won’t help. If you’re released on bail, the decision to skip a court appearance will result in revocation of your bond. Money or property put towards your bond may be kept by the court at that point. In other words, if your bond is $10,000 and you don’t show up in court as agreed, the court (or bail bondsman) keeps the money or pledged collateral. You or your co-signer won’t get it back. The police will find you, serve the issued warrant, and bring you in. Ultimately, the decision to avoid a court date is likely to harshen the potential consequences of any matter. It could even result in the court bringing new charges altogether because missing a court date is a crime. What Happens After a Missed Court Date? • A minor charge, such as a traffic ticket, can require the individual to appear in court. You will receive a citation that lists the court date, time, and location in the mail. You will want to attend the court hearing if you plan to plead guilty (or ask for a reduction in the fine) or not guilty of the charge. Alternatively, you might not need to appear in court if you pay a fine before the traffic ticket date. A more serious charge will usually involve the receipt of a summons and/or subpoena from the court. Later court appearances may be required for arraignment, pre-trial conference(s), hearing(s), trial(s), sentencing, or other proceedings. A subpoena is typically sent to witnesses in a court case. The subpoena document states when the witness is required to appear before the court. If the subpoena recipient fails to appear, he or she may face criminal charges (e.g. contempt of court), jail time, or fines. If you’re a defendant in a criminal trial or a party in a civil claim, the court may send a summons to you for the trial date. The summons will list the court date, time, and location. A summons states you may appear before the court as required. Failure to appear before the court on the required date may result in either arrest or more criminal charges. At that point, the judge may issue a bench warrant or move directly to issue a jail sentence and/or fines, suspend your driver’s license, or revoke the conditions of your bond or release. If you don’t appear as the court orders, you violate court orders. The judge may either charge you with failure to appear or contempt of court. Both are criminal charges. If you miss a court date, you must contact your defense attorney right away. Contact him or her and explain why you were unable to make the court date. Your attorney will then relay this information to the court. The court may accept a reasonable excuse from your attorney if you missed a first court appearance. For instance, let’s say your doctor has scheduled a necessary surgical procedure. He or she books out months in advance and you can’t reschedule the surgery in a reasonable time frame. The judge may quash the arrest warrant the first time you don’t appear, but there’s no guarantee. If the judge graciously accepts the first excuse, make all future court appearances on time. Alternatively, let’s imagine your babysitter cancels on the day you’re supposed to appear in court. You can attempt to contact the county clerk to reschedule the appearance or contact your attorney to ask him or her to do so. Realize it’s a serious problem to miss a court date. Regardless of your reasons, if you fail to appear on a court date, remedy the situation as soon as possible. Doing so can improve your case outcome. If you’re required to appear in court as a defendant or as a witness in another matter, you must appear. If you don’t appear as order, you face a charge of criminal contempt or failure to appear charges from the court. Either can result in jail time and/or fines. If you failed to appear on a court date, the judge must determine that the reasons for your failure didn’t involve the “willful” decision and that you received a proper notice to appear by mail. 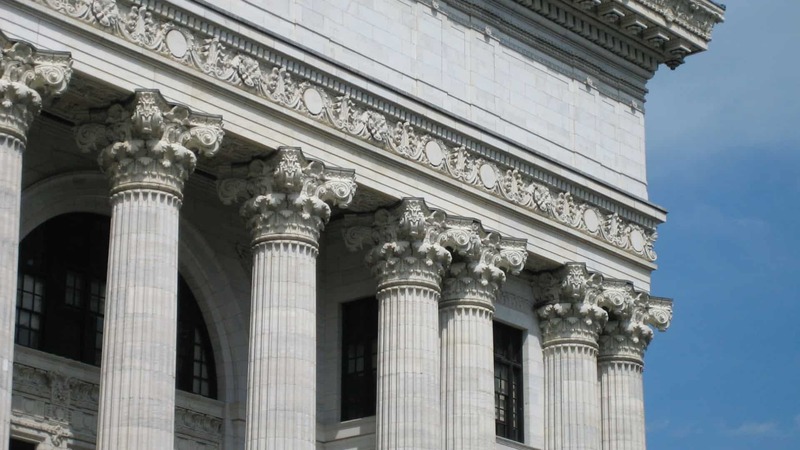 The court is required to mail a proper procedural notice to your address. If you didn’t receive the court’s proper notice of the date and time appearance, this may be a legal defense. It must also mail proper notices to your attorney. If you don’t appear because of an address change (and you didn’t inform the court of the new address), the court won’t excuse the failure to appear. However, if the reason for your failure to appear includes a natural disaster, accident, death in the family, or serious illness, the court may consider it as a defense. What are the Rules of Court if I’m Allowed to Reappear? Contact an experienced criminal defense attorney if you’re uncertain about how to address a citation or court-required appearance. The Law Office of Matthew D. Sharp will assist you in taking all the steps necessary to appear in court. If you have failed to appear, Mr. Sharp will prepare your defense if you have a valid reason to present to the court.